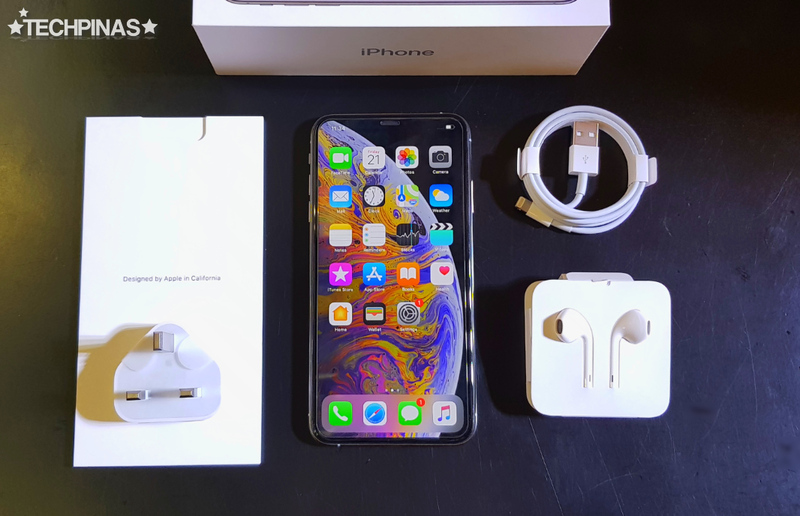 On October 16, 2018, Apple Inc. - through their consumer website - formally announced the official prices of the company's 2018 handsets Apple iPhone XS, iPhone XS Max, and iPhone XR in our country. As expected, the three Apple iPhone XS Max versions have the most expensive SRPs of the bunch at PHP 74,990 for the 64GB, PHP 84,490 for the 256GB, and and a whopping PHP 97,490 for the 512GB variant. That's $1,411.35, $1,590.14, and 1,834.81 USD - respectively - given the current exchange rate from Philippine Peso to United States Dollar. Unbelievable, right? Anyway, I'm writing this post because I am downright shocked and disappointed that these local SRPs are nowhere near the $1099, $1249 USD, $1449 USD retail prices of the said Apple iPhone XS Max versions in the United States. In fact, back in September - when I unboxed the Apple iPhone XS Max with Manila Bulletin, my guesstimates for the prices of the variants were just PHP 58,000+ for the 64GB, PHP 66,000+ for the 256GB, and PHP 77,000+ for the 512GB based on their actual prices in key markets of the Cupertino. Apparently, I was off by almost PHP 20,000 for all variants. What happened? I'm longing for an explanation. It's bad enough that the Apple iPhone XS Max is clearly overpriced in our country -- but when I saw the estimated production cost per unit of the said model - as disclosed by Tech Insights - my heart was shattered into pieces. 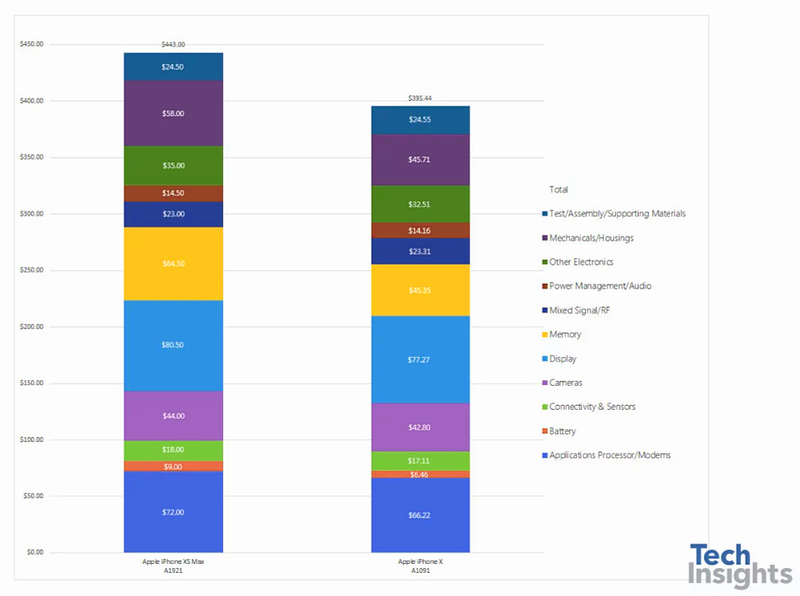 Based on TechInsight's findings, Apple only spends around $443 USD of PHP 23,550 to make one unit of Apple iPhone XS Max -- and that cost can even go down drastically with economies of scale. Let's just say the company spends roughly half of that amount for product marketing and other expenses - which is generous - for a total production cost of $600 USD or PHP 32,000 per unit, Apple can still make at least PHP 40,000 in profit per device sold. I am speechless. Did I miss anything? Is Apple actually spending more per unit? Please enlighten me by leaving a comment below or by messaging me on Facebook, Twitter, or Instagram. Update: I was informed by a good friend in the local tech industry that the 12% VAT and 2.5% Business Tax that local distributors pay to the government are partly to be blamed for the increased prices of 2018 iPhones in the Philippines. However, based on my calculations, the SRPs of the Apple iPhone XS Max variants in the Philippines should be around $1259 (PHP 66,930), $1430 (PHP 76,000), and $1660 USD (PHP 88,250) for the 64GB, 256GB, and 512GB models, which already include government fees. I know that the Cupetino company positions its products at ultra-premium or super-high-end and loyal Apple fans are willing spend practically whatever amount just to get their hands on their newest iDevice for reasons logical and illogical. The questions in my mind right now are "Is this still fair and just?" and "Is there limit to corporate greed?" But I guess those are the wrong questions to ask about a tech giant that's sitting on boatloads of cash, acting as one of the major players in this capitalist-driven world.